Eastport Golf Villa condominiums are located at The Valley at Eastport Golf Club in Little River, South Carolina. Little River is a peaceful southern town just a few miles north of North Myrtle Beach on Highway 17. This is the place to be for someone that must have the beach on a budget. Outside of any city limits, the county taxes are much lower than either North Myrtle Beach or Myrtle Beach. Most of the time the traffic is light. There are plenty of restaurants and stores to enjoy all year round, plus easy access to North Myrtle Beach as well as North Carolina and the Brunswick Island beaches, and Calabash. Little River has casino boats, too! Several ships leave out twice a day, going 3 miles out in the ocean; stepping onto one is like walking into a Vegas casino. The waterfront in Little River features some great seafood restaurants, and fishing charters as well as speedboat rides are available for entertainment. Situated near the beautiful Intracoastal Waterway off Highway 17 between North Myrtle Beach and Little River, SC, The Valley at Eastport and Eastport Golf Villas are a perfect place for coastal living! Minutes from the busy Grand Strand Eastport offers residents a warm and friendly atmosphere and a memorable round of golf! Condominiums at Eastport appeal to individuals looking for a home near the beach, seeking an affordabile golf retreat, as well as investors buying to generate rental income. 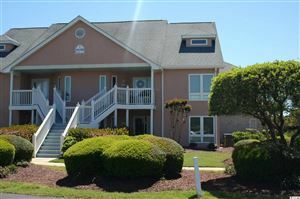 Because of the location, charm and amenities in Little River, weekly rentals are popular during beach and golf seasons. Year round residents find the friendly, close-knit community of Little River a place that they can call home! The condominiums at Eastport Golf are two bedroom, two bath units in low-rise buildings with three or four floors. The units have elevators and stairs, screened porches, and plenty of storage space. Open your door in warm weather and watch wildlife at your leisure in the marsh area from these very quiet buildings. Meet with great neighbors at the Valley at Eastport Clubhouse during the week or enjoy very reasonable memberships to the golf course. RE/MAX Southern Shores is the #1 selling real estate agency along the Grand Strand. Our skilled realtors can find the property in Little River or anywhere from Wilmington, NC to Georgetown, SC that is just right for YOU. Call RE/MAX Southern Shores at 843-249-5555 and make your dreams of beach living a reality. Some of the least expensive condos in the Grand Strand area can be found in Little River, and Eastport Golf Villas are some of the nicest. Eastport Golf Villas are perfect for the boat, golf or beach enthusiast PLUS they are extremely affordable! Two bedroom condos begin in the high $80k range with low HOA fees. Villas on the Waterway are in the low $100k range. With low property taxes, these golf club condos are even more attractive! If you're looking to stretch your housing dollar while still enjoying southern, coastal living, be sure and look at the Eastport Golf Villas in Little River, SC. You can also find more information on Little River and other Little River condos at Coquina Harbour on the RE/MAX Southern Shores website and then call us today at 843-249-5555.